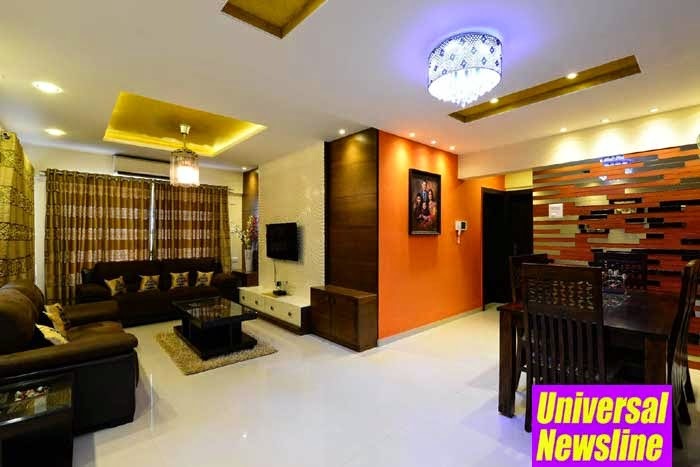 Universal Newsline - Business, Lifestyle, Entertainment : Infinite Ideas Interiors makes its grand entry in Pune! Infinite Ideas Interiors makes its grand entry in Pune! Infinite Ideas Interiors, India’s leading interior design company makes its grand entry in Pune! · Pune Population has grown over 145% from 2001 to 2011 and growing 12% annually now. · Infinite targeting 1 million of Sq ft area in Pune. Pune March, 2015: Aiming to design interiors measuring up to 1 million of Sq ft area and profit up to 50-60 crore over the next three years, Infinite Ideas Interiors, India's leading interior design company, announced their entry into the Pune market today with the vision launch of their office at Magarpatta City. With intention to make every home beautiful, Infinite Ideas Interiors will focus on bringing world class designs fuelled by their technology solutions to Pune citizens. Infinite Ideas Interiors is an integral part of JBR Interio Technologies Pvt. Ltd. which is supported by Brick Eagle, a leading financial services company based out of Singapore that focuses on affordable housing industry. With a vision to create the most functional, beautifuland affordable spaces by constantly raising the lock, stock, barrel and bar in design, technology and professionalism; Infinite Ideas thrive to deliver absolute customer delight. A renowned brand with services in new home designs, renovations, commercial spaces, model apartments and villas; the company offers reasonable and custom made (end-to-end) solutions from interior designing, space planning, execution, landscaping and light designing to furnishings. Infinite Ideas Interiors team comprises of Architects and Designers from top Institutes in India, USA, Singapore and Italy, and leaders from the country’s most premier institutes. “We are also proud to announce that we have completed many projects in Pune and our target is to beautify more than a 100 homes by the end of this year", she further added. “Real estate growth in Pune will be a key driver to our business and we expect significant growth in revenues in next three years. We aim to expand and grow into 6 new cities every year in India”, he added. “As a group, we are aiming to complete a million home interiors by 2022,” Brinda concluded. Infinite Ideas Interiors provide high quality products that are sure to greatly improve the look and feel of any home within affordable price. They have successfully redefined over a million sq. ft. of residential and commercial projects in Hyderabad, Bhopal, Bangalore, Chennai and Mumbai.